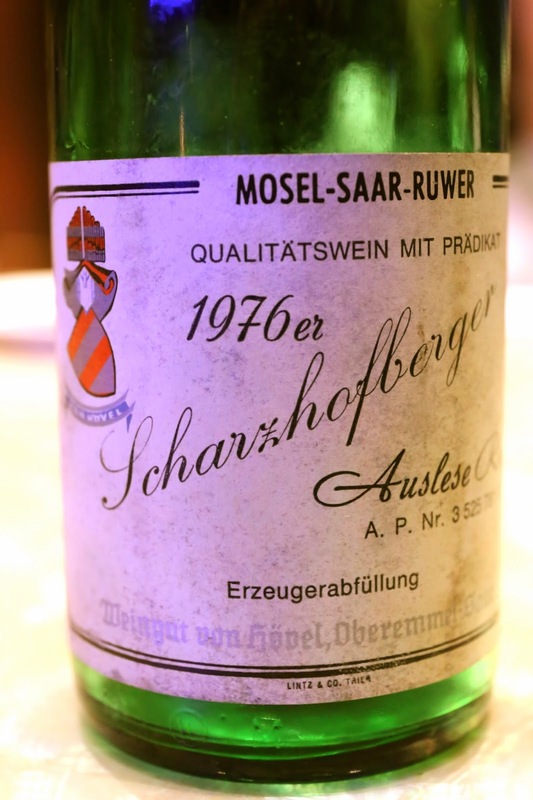 1976 von Hövel Scharzhofberger Riesling Auslese - a little floral, white flowers, a little flinty, granite and marmalade. Medium acidity. Seemed a little diluted at first, but in reality this was just an elegant wine, and went down very smoothly. 1999 Prieuré Roch Vosne-Romanée Clos Goillotte - very cloudy, a little dirty, lovely sweet and ripe fruit, plummy. Paired perfectly with salty fish. 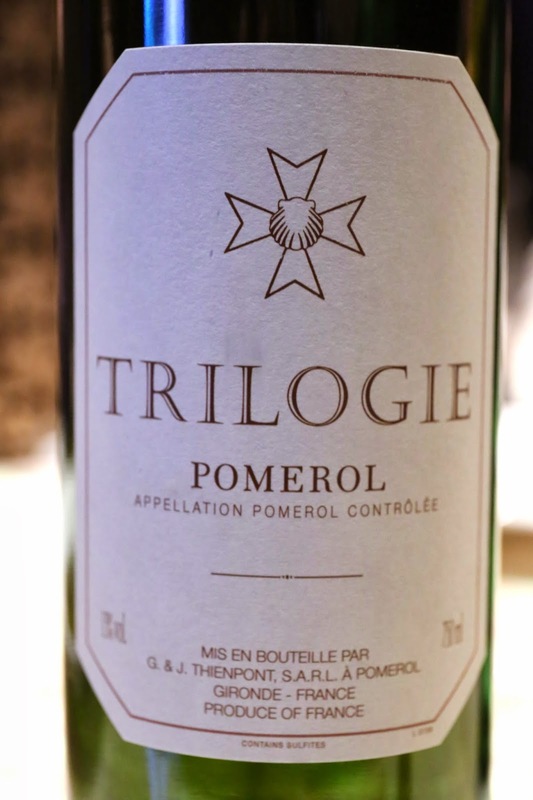 Trilogie - this is a curiosity... a non-vintage wine made from a blend of multiple vintages of declassified wines from Le Pin. This particular bottling was a blend of 2007 and 2008. Pretty sweet, a little sharp on the nose, very minty, some tree park and pine resin perhaps. Also cedar. Sweet on the palate, and concentrated. 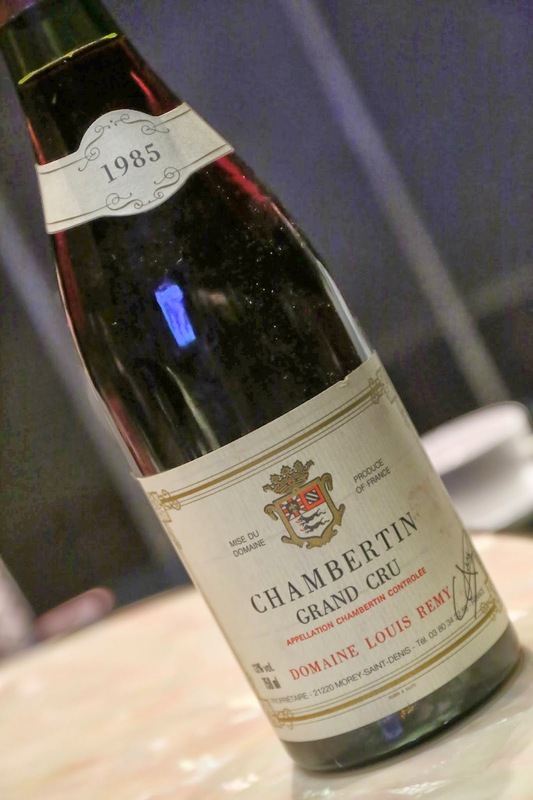 1985 Louis Remy Chambertin - made the mistake of not tasting this wine before the salty fish arrived... so all I could smell from my glass was the stinky salty fish and preserved leafy mustard (梅菜)... Nice and aged so it drank very smoothly. 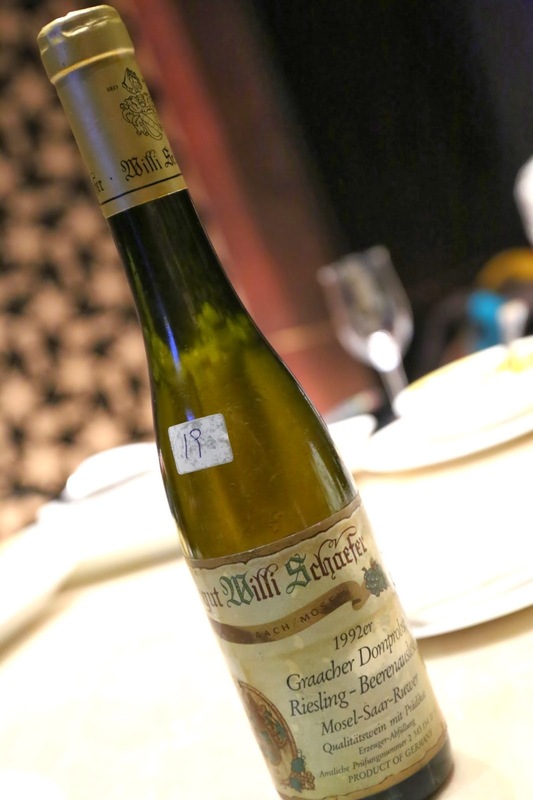 1992 Willi Schaefer Graacher Domprobst Riesling Beerenauslese in half bottle - tangerine peel, lovely minerality and white flowers. Round on the palate with a very long finish. Almost a little fizzy. Wonderful acidity balance.